Do you work with elementary students? If so you surely know about ten frames. I was inspired last week to put together a new set of Dia de los Muertos theme. 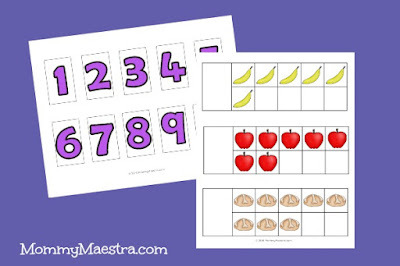 They are so useful for teaching your young students to count from 1 to 10 and higher, as well as simple addition. The ten frames I created come with two designs. The first can be used to have children match the number with the correct frame. 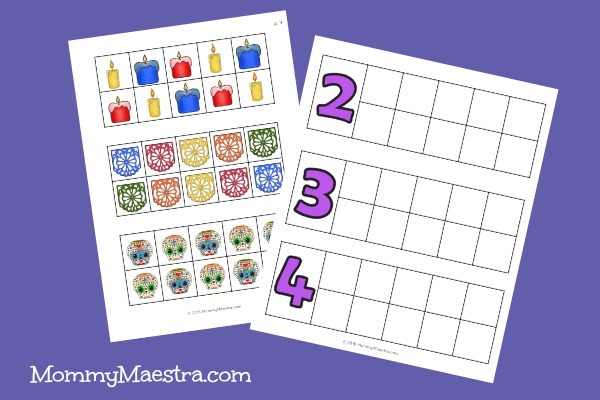 Students simply count the number of images and select the correct number. The second displays the number and kids just fill in the correct number of images the frames. I've also included a few blank templates so that you can create the activity that best suits your needs. 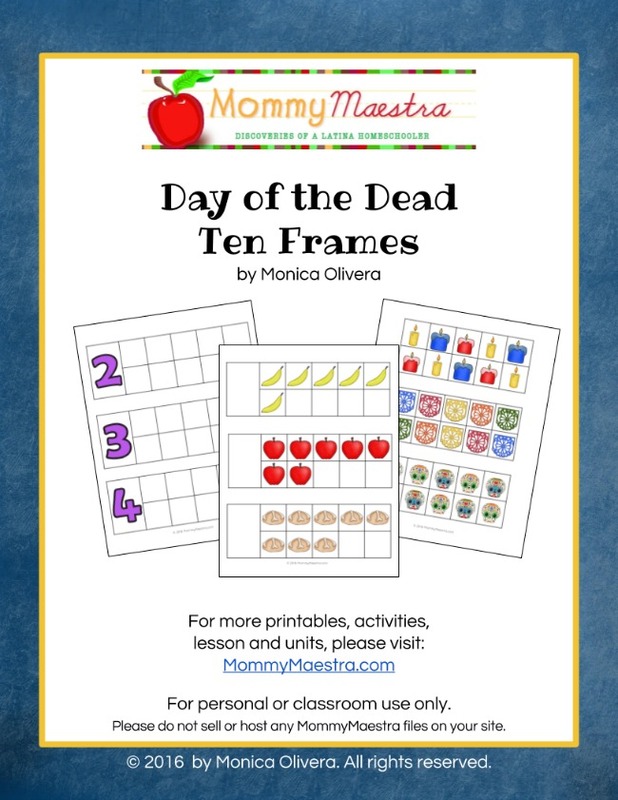 If you need ideas for other ways to use ten frames, check out this excellent resource. These would be great as a Math Center activity. They are also perfect for homeschoolers. You can find this set in my TpT store. Stay tuned for a fun giveaway tomorrow! !